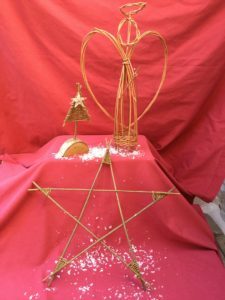 Come and join us at the Craft Barn on Sunday 16th December 10.00 – 4.00 pm, and make some lovely Christmas projects, for example a willow angel, star, small Christmas tree and a wreath. 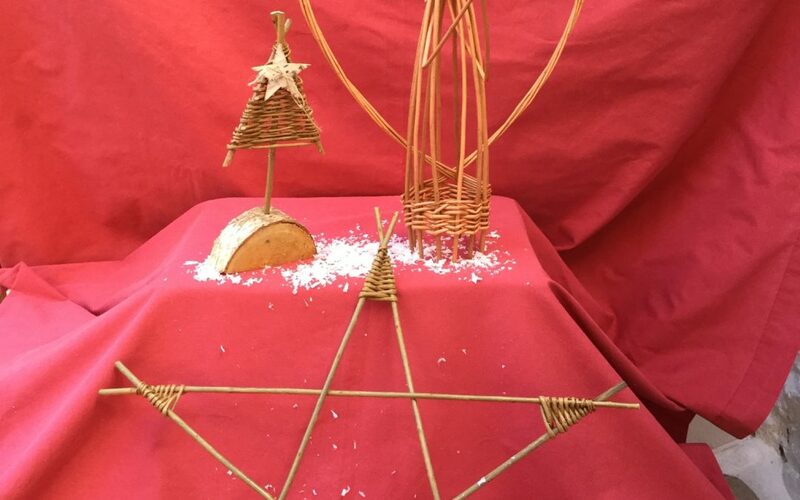 Lynn from Lynn’s Willow will show us how…always good fun, and we always go home with a lovely project or two..great as a gifts for another or for ourselves. Just bring your lunch and secateurs! Places cost £20 for the day, includes materials + refreshments. Please contact me if you would like to book a place. Website designed by Glendrian. All content copyright Ruth Hills, all rights reserved.